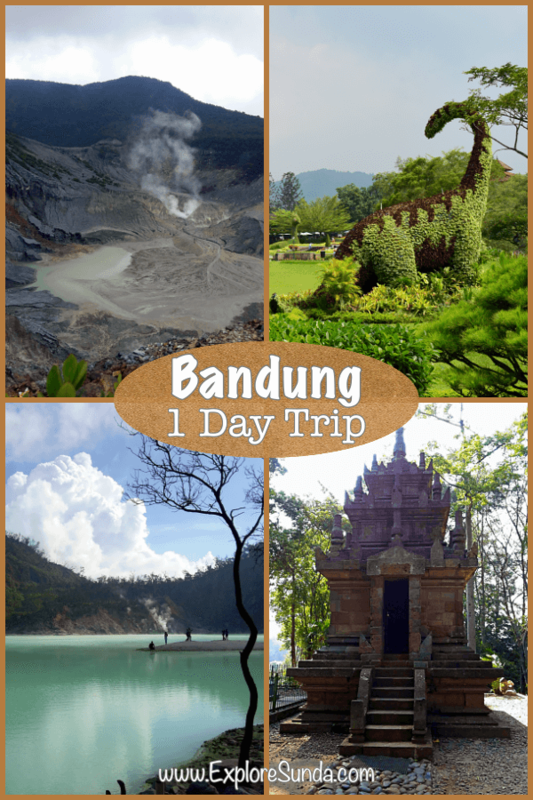 Bandung - One Day Trip: Where to go? 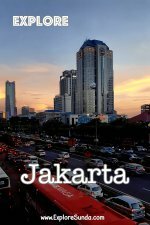 As a city, Bandung has a lot to offer its visitors. For example, learning angklung, visiting museums, shoppings, going to culinary adventure and tasting all the delicious dishes. 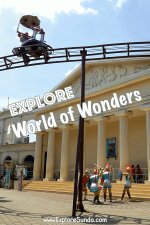 But, do you know that the towns surrounding Bandung also have plenty of attractions that will entertain the whole family? Most of them are outdoors. So, if you like outdoor activities, you should consider short trip to nearby towns such as Lembang, Ciwidey, Pangalengan, Cipanas, Garut, or Sumedang. The distance to each town is less than two hours drive during normal traffic. Lembang is a small town north of Bandung. The weather is much cooler since it is on the slope of Mount Tangkuban Perahu. This town is Bandung's no. 1 family vacation destinations due to its proximity and weather. 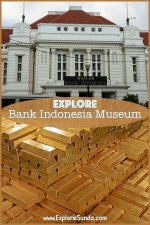 There are lots of activities you can do here: horse or cart riding, hiking, ATV ride, flying fox, strawberry picking, swimming or spa in hot spring, visit the caldera of still active volcano of mount Tangkuban Perahu, visit Maribaya and Cimahi falls, or go shopping flower and trees for your garden. Ciwidey is a small town south of the city. Similar to Lembang, the weather is cooler since it is on the slope of Mount Patuha. Here you can visit Kawah Putih (White Caldera), Situ Patengan (Patengan Lake) , and Glamping Lakeside Rancabali. Along the way to this lake you can see beautiful tea plantations that look like green carpet covering the hills. In addition, there are many strawberry farms where you can self picking them. I bet your children will love doing it. Pangalengan is approximately one hour drive to the south. This town is a major milk producer in Sunda, thus, you can find a lot of cow farms in this area. We also can play water rafting here, at Palayangan river. Cipanas is the entrance to Puncak Pass, if you come from Bandung. It approximately takes 2 hours drive. This town is located in the highlands, hence the weather is cool. 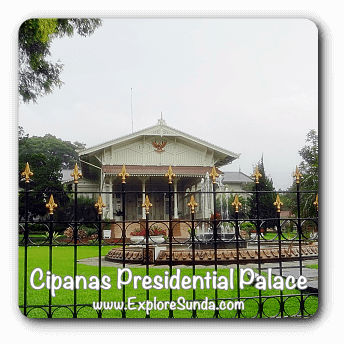 No wonder it becomes one of the favorite places for weekend getaways from Jakarta, a home for Cipanas Presidential Palace, Cibodas botanical garden, a flower garden called Taman Bunga Nusantara and a major producer of vegetables and flowers. Going further to the north you will reach Puncak Pass and if you keep going then you will arrive at Taman Safari Indonesia. Garut is less than two hours drive from Bandung to south east. It has cool weather since it is a highland (700 meters above sea level) and surrounded by Mount Papandayan, Mount Cikuray, Mount Karacak, and Mount Guntur. The main family vacation destinations in this town is the hot spring in Cipanas, which is a suburb of Garut, instead of Cipanas in Puncak. Don't get confused, ci is a Sundanese word for water source, spring, or river and panas means hot, so several hot spring areas in Sunda have the same name: Cipanas. Garut is also famous of being the hometown of Candi Cangkuang, the Hindu temple that laid on a tiny island surrounded by lake. We cross the lake using bamboo rafts, what an adventure! Sumedang is a transit town when people travel from Bandung to Cirebon in the north shore of Java. Nowadays the traffic is more bearable thanks to Cipali toll road connecting Jakarta and Bandung to Cirebon. 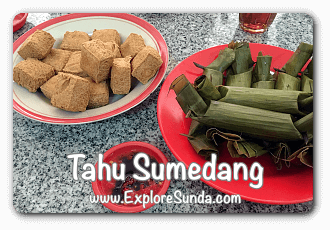 Sumedang is very famous for its delicious tofu. Since Bandung is a highland surrounded by mountains, the areas we can go for a one day trip are typically other highlands. But, if you have more time, spend a night or two in southern beaches, such as Pangandaran, Ujung Genteng, and Umang island.